Special mention of my hometown and our family residence at 44 East Avenue in Springville, New York! The veneer of our cultural kindness has worn thin. In some places, it has long since worn off leaving an ugly rudeness that we all feel in our country these days. It doesn’t help that unacceptable and offensive behavior emanates from our highest offices, or that acts of great violence and injustice are reported to us each day. Thankfully, graciousness and gratitude still flourish among people who choose to treat others with dignity and respect. It is after all that what we give to others that we will reap in turn. It is an important choice that we must make, one that is really neglected today. Why would we choose to be small-minded and smugly miserable? Or choose to do battle, rather to find a way to peace? 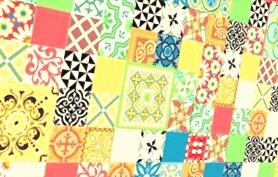 To choose to divide because of differences rather than celebrate our common diversity? Or to be associated with a religion that means we can’t love someone, or can’t bake a cake for someone or one in which only one gender can advance? Whether we know it or not too many of us have traded graciousness for speed and efficiency. We have traded generosity of spirit for more cell phone time and less family time and we have traded personal connections for digital ones. We accept religious affiliation at the exclusion of others. In the process, we have also turned away from the needy of our society compounding global misery. We have watched in horror how each such neglected person becomes a time bomb who takes others with them in a final, agonizing and grand-standing death rage. We have simply stopped hearing their cries for help—locally, out on our borders and internationally. These souls have been backed into very dangerous corners. Instead of looking out for everyone, especially the least among us or the most different among us, we have long since looked out for ourselves. This has left too many trapped and failing within our system, or even too many trapped and desperate fighting to get in. If we were to measure the cost of what we have gained it would in no way compare with what has been lost. Most Americans will recognize “this isn’t us anymore,” knowing full well that we have fallen behind in kindness and courteousness as though offering the simple joy and kind words to another no longer matters. And yet, I know there is still graciousness in the hearts of many Americans, and some gratitude for this great country of wealth and the age we live in. It takes so very little to make sure someone is heard, to add enthusiasm or kindness to your voice or to simply say hello. To always remember that someone is doing the best they can do just to be here, is the very lowest measure of empathy. Just as it takes no additional effort in a fancy hotel to provide a guest with top service compared with a mediocre effort, life doesn’t require much of us except a little compassion, being generous and demonstrating gratitude to others. This is after all, is all a miracle: that at this place and time, we exist at all–to ponder beauty, nature and goodness while looking out from the lonely universe we inhabit. There are challenges to be sure, but isn’t it an easy choice? Rather like when you get up in the morning and choose to live your life, or you choose to die. I attended a recent meeting in my community and during a period of public comment, a resident got up and actually said, “We don’t want any more of your kind here,” referring to the county’s largest employer and its staff. It was quite a shock to think that anyone would say such a thing! How then are we to deal with the differences among people? Goodness always seems to spiral upwards, and I therefore recommend we begin to choose graciousness and gratitude in our interactions with others, even those different from us. It is a subtle and powerful change, and without it, well, we are already beginning to see the results. Since my first visit to Findhorn, a simple yet dynamic ecovillage in the north of Scotland, I have kept with me the strength of spirit and the resolute power of intentioned kindness that I found there in that rare place. I believe it is such feelings that inform graciousness in my life and the generous way we interact with others. What gratitude I feel in being able to write this to you! 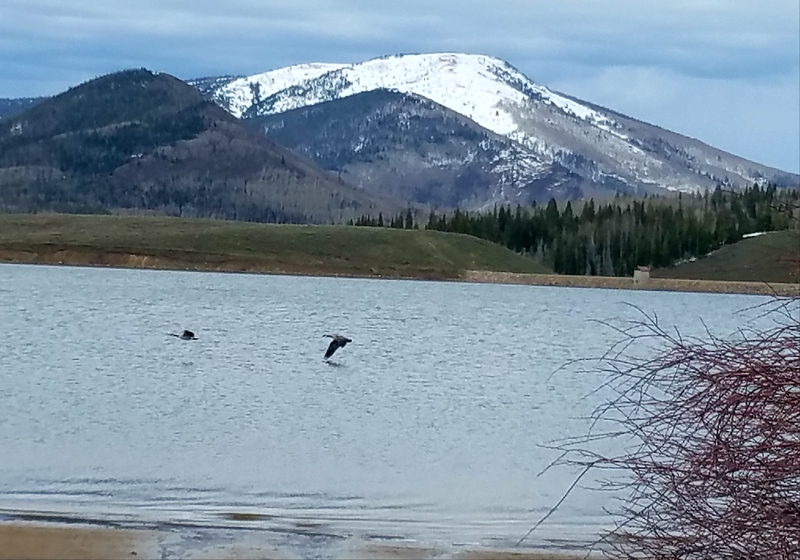 Sometimes we are lucky enough in our lives to run a Relais & Châteaux affiliated guest ranch along the continental divide in the Colorado Rockies. If so lucky, we live and work on one of Nature’s most beautiful stages with some of the most talented and dedicated employees one will ever meet. Our staff is made of wonderful individuals who attend to amazingly specific details like repairing an in-room guest safe door lock at midnight, and those arriving at work before 5 a.m. to make specially requested menus and baked goods for breakfast. Of course, clearing snow from guest vehicles, fixing flat tires, preparing meals, cleaning guest rooms every day, caring for 90 horses on 5,000 acres and leading horseback rides that can truly set the soul free are all de rigueur in this world. It isn’t because it is an easy post, as there is certainly plenty of work and stress along with myriad moving parts among rapidly changing micro-priorities. The days can seem very short as the team arrives well before breakfast each day and will leave after dinner only when the dining room has been set for breakfast. At this level of hospitality, there is far more to remember than simply each guest’s name. Flight arrival times for transportation, pre-purchase of rare and specialty foods, beverages and amenities, knowledge of guest allergies (i.e., feathers, cleaning products, nuts, etc.) along with all manner of dining and amenity preferences are only the beginning of the list. In short, every member of the team must anticipate, respond to and resolve each and every guest request unless their responding could be considered illegal, immoral or unsafe. Consider then the breadth of possible requests that remain, such as organizing an impromptu helicopter tour or an all-day backcountry hike in the nearby Zirkel Wilderness. There is without a doubt a very long list of joys concomitant with serving in such a unique place. When I consider the amazing people we’ve met, the finest foods, flavors and beverages we have enjoyed and the worldly perspectives and contacts we have made, our cup has certainly runneth over. 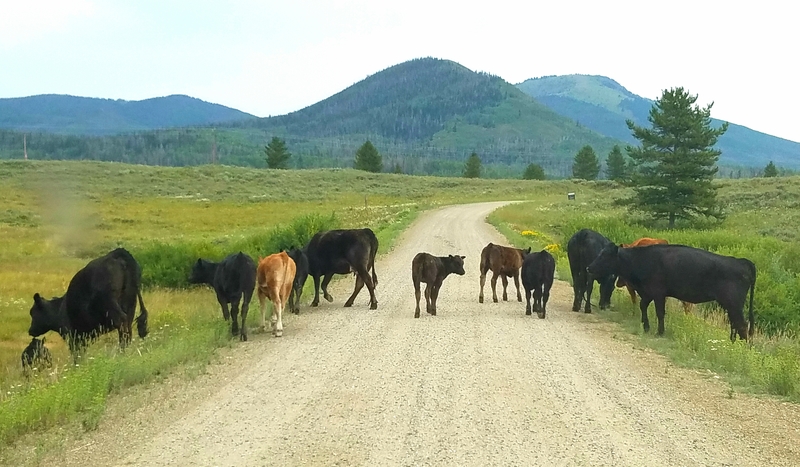 Running a guest ranch here is to actually live and breathe in the West’s wide open spaces we have come to love. 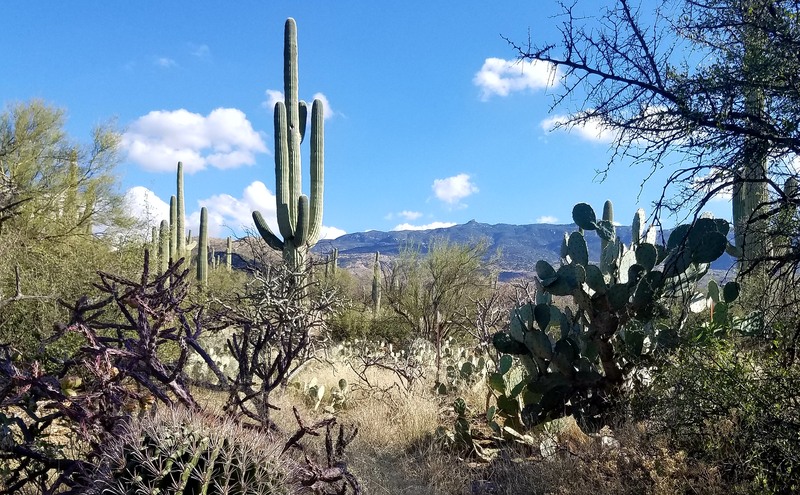 We will always consider it a great honor to get to know the rare individuals who come to the ranch and those who stayed on to make their homes in this remote and pristine ranching community. These neighbors, guests and staff members have enriched our lifes by their kindness, by their joy and friendship. They have forever imprinted their kindness in our hearts. Challenges out here are plenty though. How much I have appreciated the cheerful colleagues who handle them gracefully while retaining their wonderful sense of humor and focus after working 70 hours or more week after week. There were moments of anguish and tears to be sure, mostly the result of someone really caring about their responsibilities, and not wanting to let you down. We saw first hand the wonderful impact a guest ranch vacation has on a person, and on a family. There were occasional tears too from young guests who really hated saying goodbye after their weeklong stay. You see, they came to know their horse and wrangler, our kids counselors, guides and staff as their friends after so many wonderful moments together. Some of the great joy we felt was in welcoming those former children now as adults, who returned to the ranch for the first time with their new young families. A wonderful cycle continues. I suspect this may have been my life’s last opportunity to manage such a special guest ranch, but who knows? Maybe my friend, Gene Kilgore, the leading authority on western guest ranches has a different idea? What an interesting chapter it has been, as we count our blessings and reflect back on this time in our lives. Sometimes we are lucky indeed. As a young hospitality manager, you may have begun receiving calls from recruiters without knowing they could one day be instrumental in shaping your career. Perhaps you are very happy where you are and generally ignore their calls. I suggest that you will appreciate their calls the day you need them. The following are points of wisdom, now shared with you that are the result of personal experiences. This is to emphasize how important Hospitality Recruiters can be in helping you to transition out of situations–such as when an owner dies, your property is sold or the economy tanks–and into a new and satisfactory position. You’ll really appreciate your network of recruiter relationships when that day arrives. Why do I need to communicate with a recruiter when they contact me? Unless you have a lifetime contract or you are independently wealthy I recommend you thank every recruiter who calls you and begin to establish a relationship with them. If you are a young hospitality manager, I recommend staying in touch with those recruiters who show an interest in you. Make sure they have your most up-to-date information at all times and if asked, be sure to recommend other colleagues in your network that you feel may be interested and qualified. What if more than one recruiter is contacting me? Then you are indeed a lucky person! Each recruiter can present new opportunities. My advice is to get to know each one, and nurture the relationship. Make sure they know exactly what you are looking for. You never know when it will be critically important. Build relationships! Do I have to tell each recruiter that I am working with other recruiters? You will need to maintain a very high standard of discretion in working with recruiters, especially when you are working with multiple recruiters. You’ll need to make a judgement call in the event of a conflict, and be the professional. Let the other recruiter know as soon as possible that you are considering other solid offers. You will play games with recruiters at your own peril. What if I receive multiple offers, from different recruiters–how do I handle this? The professional recruiter is well qualified and eager to help you negotiate the best compensation package possible. In the event of multiple offers at the same time, be up front about it and follow your heart to the opportunity that is the best match for you. You may need to pursue each offer almost to its conclusion until you are able to make a decision. These can be some real moments of soul searching. Give feedback to the recruiter, and speak up if something doesn’t feel right. In the end. it’s your deal. Remember that the sooner you can give regrets to the other recruiter, the better and kinder it is. Who knows when you’ll need to reach out to that same recruiter in the future! You will be amazed at what a small community it is of hospitality professionals. How do I know if a recruiter can help me, and if they are trustworthy, honest and professional? Word of mouth from your colleagues is important in getting to know the right hospitality recruiters. The Recruiter’s job is one of complete discretion, and they wouldn’t last long if they divulged information that jeopardized a candidate’s current position or future opportunities. Remember that they are generally on your side, are only paid when you are hired, and usually only when you are employed for a minimum period of time. In the event you don’t work out, they may be required to perform another search without additional compensation. What does a recruiter most need from me? Honesty and integrity. A full disclosure of your skills and talents. Updated résumés and updated professional references. Referrals to strong candidates. Should I keep in touch with recruiters, or am I just bothering them? If you are personally in a search mode, regular contact shows that you are enthusiastically interested in working with them. The recruiter will let you know if you are overdoing it. Remember that your other full time job is marketing yourself. How do I negotiate offers through the recruiter? I have found that top recruiters are expert at this.They will help you assemble your minimum requirements for the job well in advance. Often, the recruiter will back away and let you handle the negotiation. Use the recruiter as a consultant and take your time. Much more goes into salary negotiations than just a few numbers. What if I feel the recruiter isn’t presenting me accurately? Sometimes it doesn’t seem like the recruiter has a clear picture of your experience. You need to speak up, defend yourself or better present yourself to him or her. The recruiter is only trying to present you and your skills to their client in the best possible way. The ball is in your court. You should also have a complete understanding of the process the recruiter will go through in representing you to clients. Don’t let a recruiter entice you with pie in the sky job opportunities or the fact that he/she will be blanketing your resume all over in order to gain greater visibility for you. This indicates the recruiter’s level of professionalism and how they go about their work. What if a recruiter doesn’t call me back? Move on. Life is short. Be tenacious in introducing yourself to other recruiters that might be a better fit for you. You’ll find plenty of recruiters (and people) who aren’t interested in getting to know you, or who will make you feel like you don’t amount to much anyway. They simply need to weed you out from the pack as quickly as possible. Don’t take it personally. They have a job to do too. Be tenacious and move on. We just hung up our hats at home after attending the 91st annual meeting of the Dude Ranchers Association in Tucson Arizona. Imagine a whole banquet-room full of America’s kindest people, a legion of fiercely independent and honest souls who through hard work and sheer grit run the great ranches of the West and welcome guests to a way of life and the rich American heritage that you always hoped still existed. It still does. 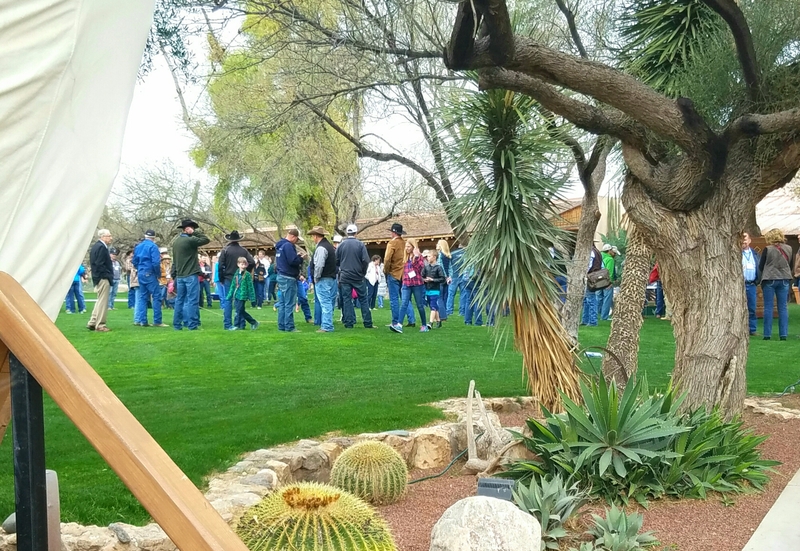 If you hadn’t noticed, a Renaissance of American guest ranches is underway judging by the DRA’s 100 plus members. Perhaps it is because we as a nation have never needed a digital detox and a real vacation more than right now. 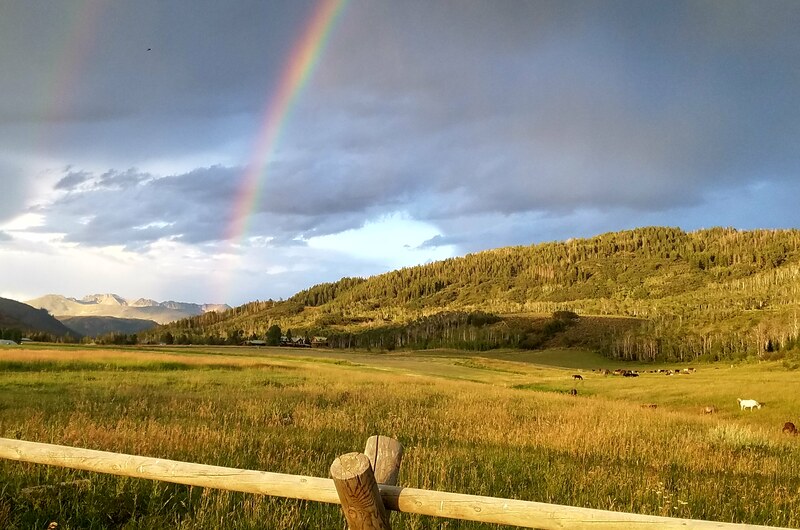 And if you are looking for authentic experiences, you’ll find none better than right here on these ranches surrounded by open range and the safety of our own country. Out here there is a dude ranch ready to welcome you to some of the world’s most beautiful and jaw dropping locations right here at home, generally offering an all-inclusive price. When you bring your family to a dude ranch, you’ll find a wealth of activities to participate in either individually or together. After dinner, you’ll turn in early every evening. Fresh air and wholesome fun has that effect on everyone. Each ranch (and rancher) is unique in its own way, with home-grown traditions and style. All of them have horses to ride, trails to explore and a staff of characters you’ll enjoy getting to know from wranglers to housekeepers, to cooks and ranch hands–each provides genuine hospitality shared from the heart. At the end of the conference, the DRA’s pioneering members, past presidents and Hall of Famers were warmly celebrated with standing ovations. An elder of the group, a cowboy poet took the podium to mark the end of the evening, reciting his poem about all the love he had for his ranch and ranching. We left with a warm feeling knowing that the D.R.A. represents the very best of our country, and a hospitality force to be reckoned with. As new members of the group we now proudly ‘ride for the brand.’ Sure hope you’ll look us up and come rediscover today’s still Wild West. Bring your hat and boots. See you at the Campfire.